Beautifully made reproduction Chippendale style serpentine hall cupboard on splayed bracket feet. 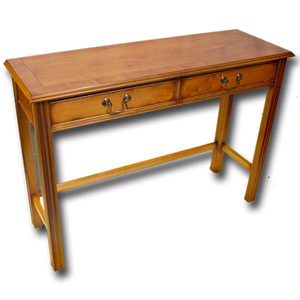 2 Drawer reproduction Chippendale hall table in burr walnut, yew, mahogany or oak. 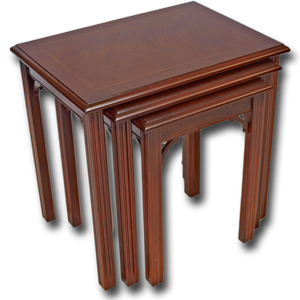 This well made and sturdy table is available in the below size or as a bespoke item - please supply sizes to obtain a quote.